This week, 2Cubed has launched the new website for home heating oil supplier Tanks.ie. 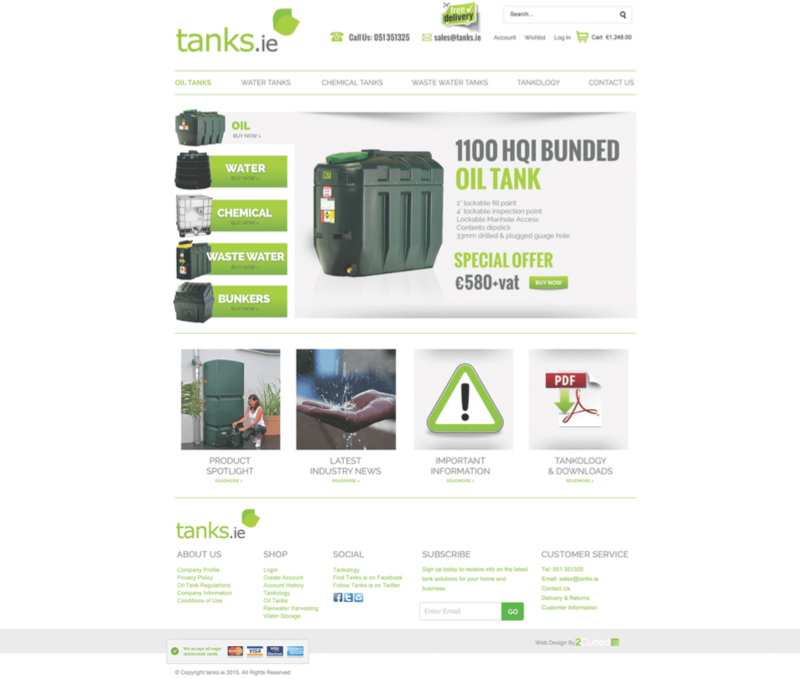 The original website for Tanks.ie was launched in 2009 as the first eCommerce website for oil and water tanks, and it quickly became the leading supplier of Oil Tanks, Water Tanks, and Storage Tanks in Ireland. Based in Waterford, tanks.ie deliver throughout Ireland, and serve the domestic, commercial, industrial, and agricultural markets. Their brand new redesigned website showcases their range of over 500 products, with more being added each week. They also have a hugely informative brochure collection, titled Tankology, which provides in-depth information and specifications on their home heating oil tanks. We were delighted to work with Janice and Tony at tanks.ie to design, develop, and launch their brand new website and wish them every success for the future.